American Trades Contracting is an extension of your professional team that is fully committed to your success. With 10 years of proven experience, American Trades Contracting establishes meaningful relationships where they take the time to learn about the client, the skills and experience they are looking for and the goals they hope to achieve. 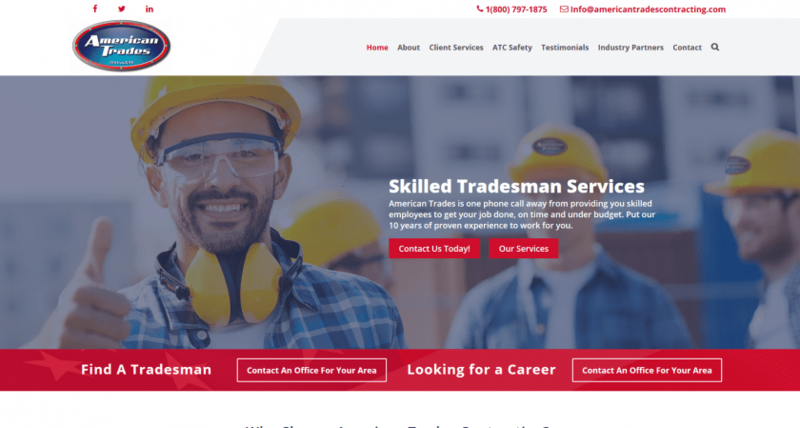 American Trades is dedicated to aligning clients with top talent and maintaining effective workforces.